The landscape of the banking industry is changing dramatically in 2018 with advancements in Robotic Process Automation (RPA), Cognitive Computing, AI and Blockchain. These cutting-edge technologies have already begun, and will continue, to disrupt the financial industry as we know it. To understand the potential implications of these technological advancements let us learn a lesson from recent history. Have you ever heard of a company called Blockbuster? Of course, you have but ask anybody born after 2000 and they will have no idea what you are talking about. With the advent of Redbox in 2002 and the rise to power of the giant, Netflix, Blockbuster faded to dust. What about Sears? Founded in the 1890’s, Sears dominated the retail space from tractors, hardware, appliances, TVs, to clothing, furniture, and everything in between. They rose to power based on their highly successful Sears’ Catalog. So why did these figurative dinosaurs, go extinct? They failed to evolve. Rather than embracing groundbreaking advancements in the internet and streaming technology they opted to keep their existing business model and were left in the dust by the early adopters that took advantage of the disrupting tech. Piraeus Bank in Greece is leading the way as it has opened three e-branches that completely recreate the banking experience, but other banks are beginning to catch on as well. RPA involves developing software bots that automate many of the manual, repetitive tasks, that are found in every company. The bots mimic human interaction utilizing the same UI that a human would use. However, these bots don’t suffer from poor performance over relationship drama, take bathroom breaks, and require overtime pay for working late. They perform at high speeds, eliminating human errors and will run 24/7. In addition to increasing speed/productivity, near 100% accuracy, RPA bots allow for scalability and agility as bots can be developed and implemented on a need basis as more and more opportunities to automate process are identified in your workplace. Part 1 of the article provided a basic understanding of the what and the why of RPA. It touched on the need for innovation in the banking industry to stay afloat. Part 2 will be posted next week. It will provide a detailed explanation of the processes that can be automated, where to begin implementing RPA in your organization, and will examine the role of collaboration between humans and robots to capitalize on and maximize strengths in the workplace. 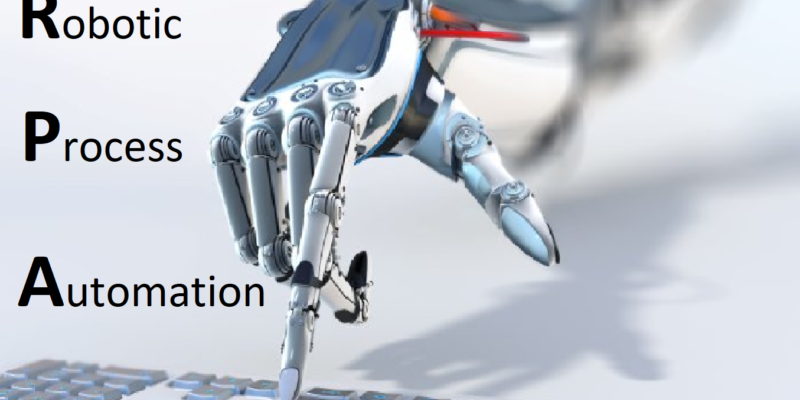 Stay tuned folks and sign up on with your email on our website www.bizteon.com for a free copy of my upcoming e-book 5 Steps to Get Started with RPA.